With more that one million new cases of cancer diagnosed each year and the shift to outpatient management, it is likely that you will see some of these patients in your practice. Because cancer treatment can affect your oral tissues, dentists need to know about potential oral complications. Moreover, pre-existing or untreated oral disease can complicate cancer treatment. Research shows that oral disease puts the cancer patient at an increased risk for developing acute infections and bacteremias. Therefore the dentist's role in patient management can be beneficial beyond the oral cavity. It is estimated that by 2020, the confirmed cases of head and neck cancers caused by the Human Papilloma Virus (HPV) will surpass the rates of cervical cancer in North America. These patients are not your typical cancer patients and for those reasons can remain undiagnosed until they present with later stage disease. This can be avoided by following the fundamentals of a thorough head and neck examination which is most often key to early detection in this patient population. During this seminar, you will become familiar with the HPV and how it is involved in cancer development. Risk factors will be discussed and Myths and facts about HPV oropharyngeal cancers will be reviewed with a special emphasis on how to talk to your patients about, for most, find the topic uncomfortable topic to discuss. 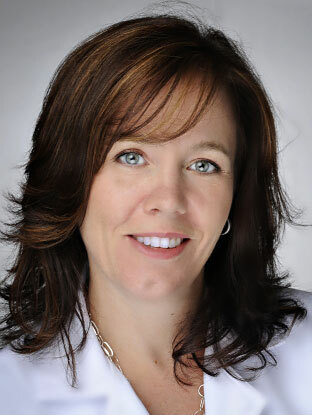 Dr Saunders graduated from the University of Manitoba, Faculty of Dentistry in 1999 and resumes a full-time practice as the Medical Director of the Department of Dental Oncology, at Health Sciences North, Northeast Regional Cancer Centre. She is an Assistant Professor at the Northern Ontario School of Medicine and Program Lead for the Oral Maxillofacial Rehabilitation Program for North Eastern Ontario through the Ministry of Health. Dr Saunders is the President of the International Society of Oral Oncology (ISOO) and held the position of research lead of the systematic reviews on the nine oral complications in cancer therapy through ISOO which includes Medication Related Osteonecrosis of the Jaw (MRONJ) She is on the steering committee for MRONJ with the American Society of Clinical Oncology (ASCO) and the Multinational Association of Supportive Care in Cancer and the International Society of Oral Oncology ( MASCC/ISOO). Dr Saunders is the co author of the Cancer Caner Ontario's Symptom Management Guide to Oral Care as well has developed oral care protocols for the oncology patient that has been published in 19 languages for global dissemination. She is a Certified Tobacco Educator through the Canadian Network or Respiratory Care (CNRC), and is the program lead for the Clinical Tobacco Services at the North East Cancer Centre. She holds a faculty position at the Centre of Addictions and Mental Health (CAMH) in Toronto and has a keen interest in engaging the dental team in tobacco intervention through CAMH and the Ontario Dental Association.